The Islamic world is still far from being liberal when it comes to art. Even if Saudi Arabia builds gorgeous museums and buys priceless paintings for display, such as the Salvador Mundi, it is still just a small part of the Islamic world, who has been openly hostile to art that they deem offensive. 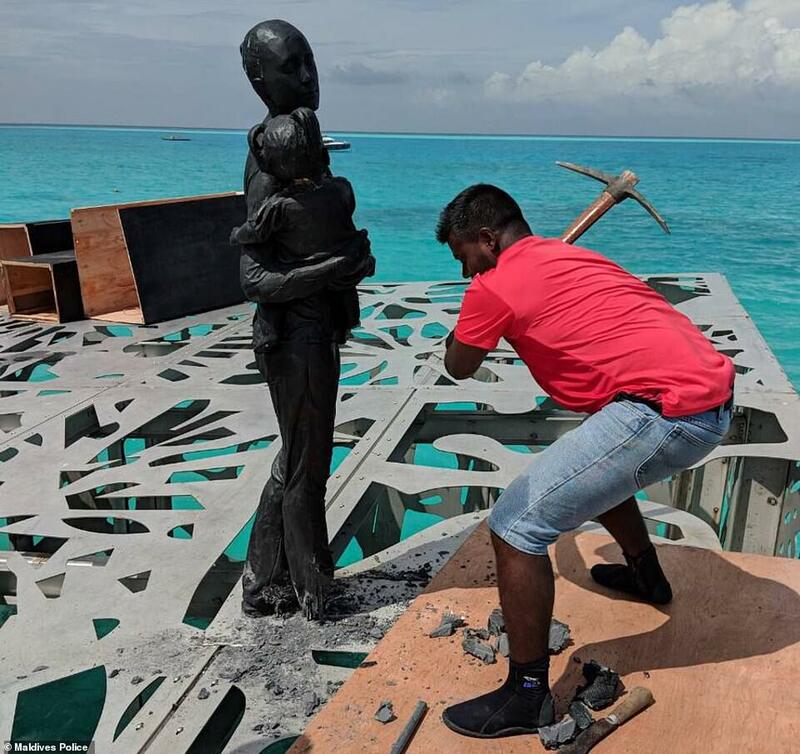 A good example of such intolerance is an event that happened this week when a semi-aquatic sculptural work in the Maldives was demolished this week by the authorities after it has garnered criticism from the religious leaders of the Maldives. The Maldives is operating under Islamic law, and the work, called the Coralarium, was deemed too offensive for Muslim eyes. According to The Guardian’s article, The Maldives’ government ordered the destruction of the Coralarium last week. Created by one Jason deCaires Taylor, a British artist, the Islamic court ruled that his new work is considered to be a threat to “Islamic unity and the peace and interests of the Maldivian state.” According to the story, the project was commissioned by the Fairmont Maldives Sirru Fen Fushi resort, which is owned by the Accor hotel group. At the time the project was given a green light by the authorities, and Taylor was able to finish the project in July. Jason deCaires Taylor is an expert when it comes to underwater sculptures and galleries. Idol-worship is a serious crime in Islam and militant Islamists have been known to commit iconoclasm throughout history and have defaced and demolished old temples of worship and statues. He further stated that the work, the Coralarium was meant to “connect humans to the environment” and be a safe space for marine life to live in and that it has no other meaning. 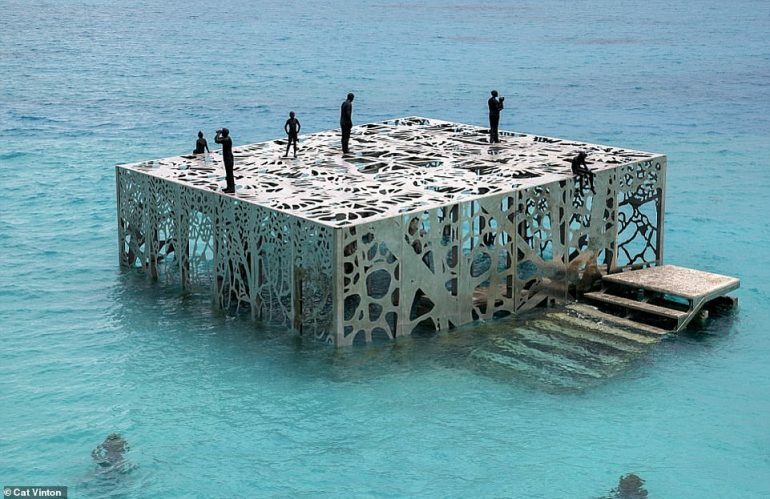 And though the statue on top of the platform of the Coralarium was brought down, the underwater structure remained intact as part of their coral restoration program. They also stated that they are once again working with Taylor to create an underwater gallery instead, and hopes that it won’t offend the local religion of Maldives.